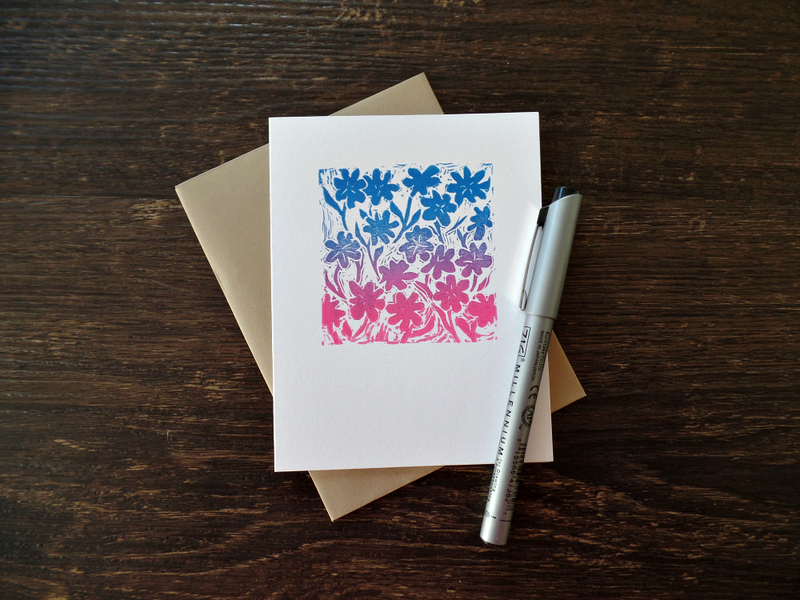 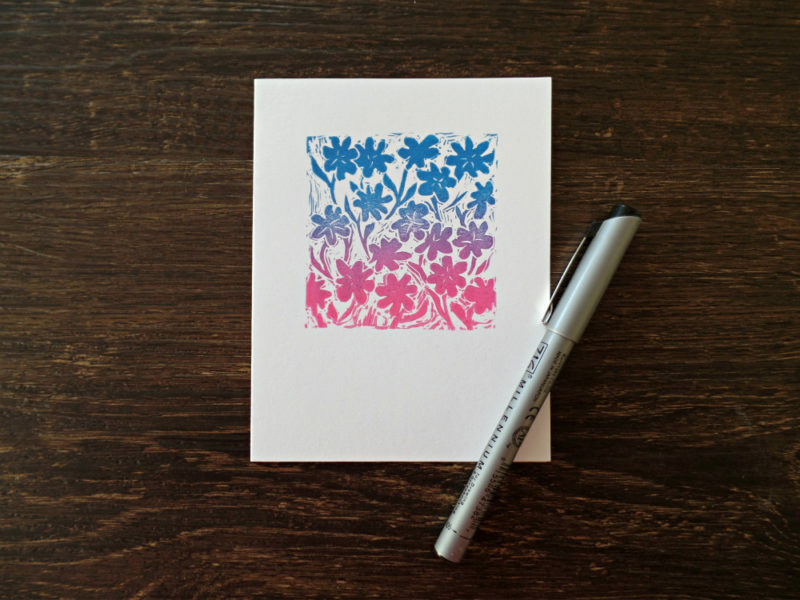 Hand printed flowery note cards for every occasion! 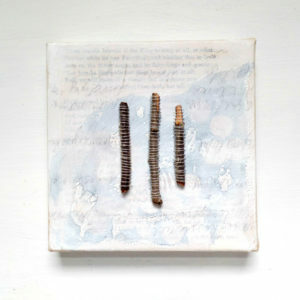 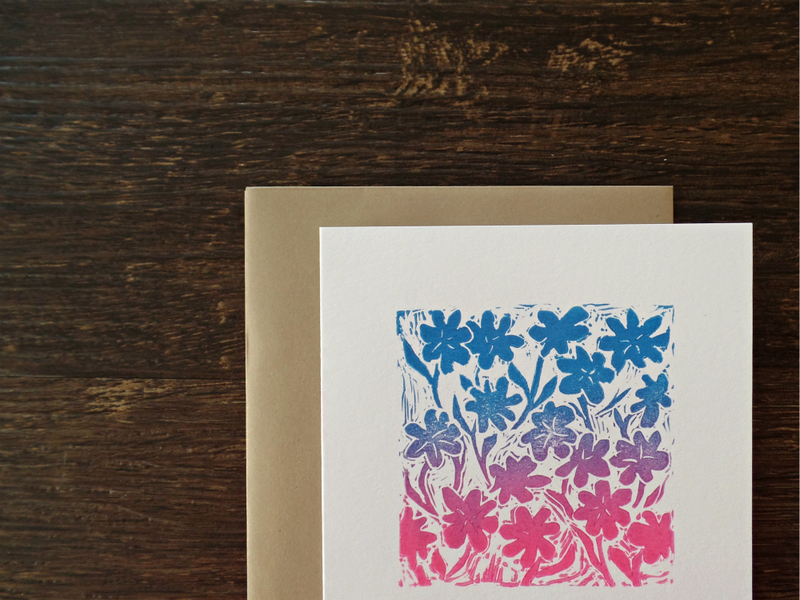 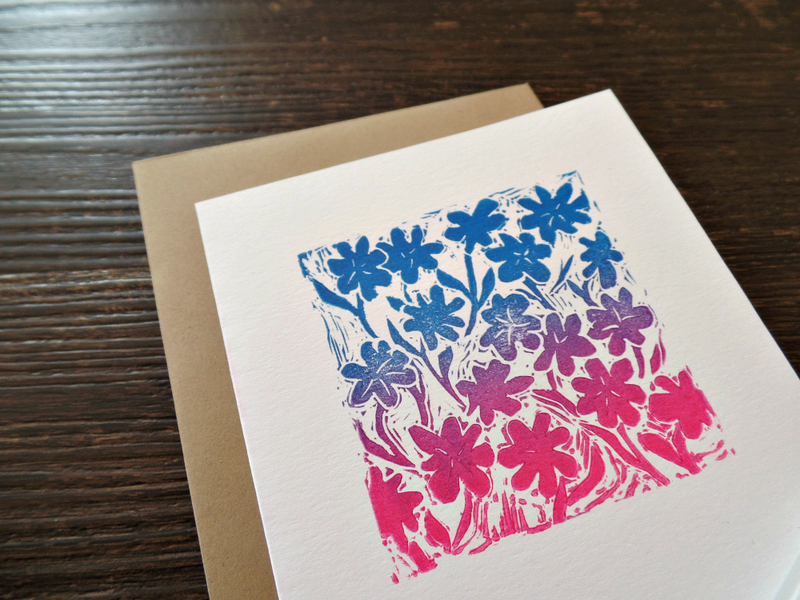 This pretty card is hand printed by me in blue, purple and pink ink on a white card. 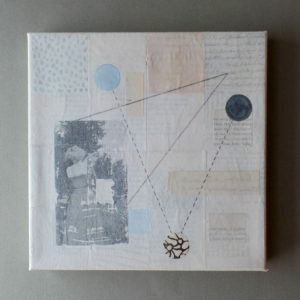 The floral stamp was designed and hand carved by me in my loose, rustic style. 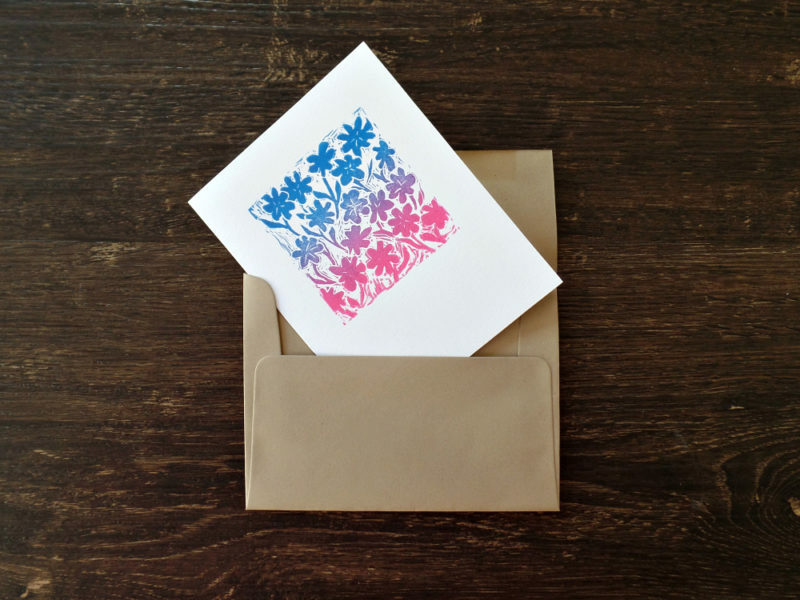 Say hello, get well, thank you and thinking of you with this sweet spring card! 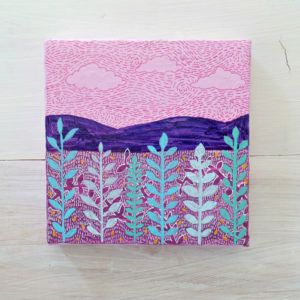 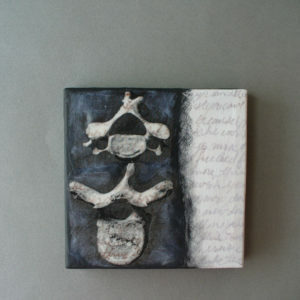 They are pretty note cards too!